If you’re putting time and energy into your gym sessions but not achieving desired results, these fitness mistakes may be to blame. If you’ve ever walked into a gym or seen someone exercising outdoors doing the totally wrong thing, you probably felt sorry for them. Of course, you don’t want to be that guy, but the reality is that most people who don’t seek out the assistance of a fitness professional fall under the category of inadequately performing certain exercises or movements. We talked to the pros to find out which common fitness mistakes men make most often—and what they can do to correct them. There’s a reason why some of the most ripped and toned fitness professionals in the gym always incorporate a dynamic warm-up into their routine. Warming up increases blood flow, which raises the temperature of your muscles and gets them prepared for the higher-intensity activities ahead. “Work on opening up your hips and shoulders through a variety of rotational movements to fire up your body and aid in injury prevention,” says Chris Ryan, CSCS, founder of Chris Ryan Fitness. Slow and steady wins this race—even if you’d prefer to add ten to 20 pounds to impress your fellow gym-goers. If your goal is to see progress, lifting too heavy is not going to get you there. In fact, it may cause you an exercise injury. 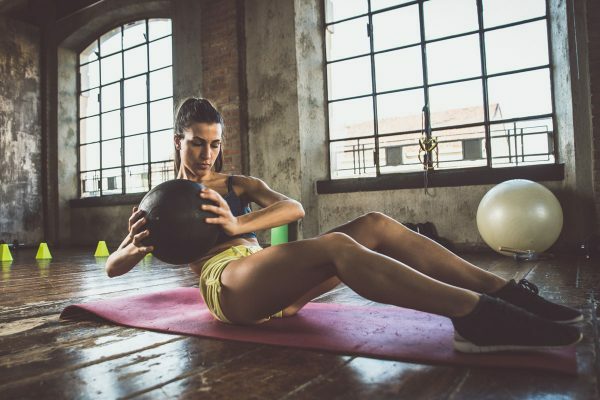 “If you can’t do the exercises with the proper form at that weight, then you need to reduce the amount of weight you are using until your form is proper,” says Alex Tauberg, DC, CSCS, chiropractor, and certified strength and condition specialist. Only working out your “beach muscles”—i.e., your biceps, triceps, chest, abs, and quads—is another common fitness mistake men make. This will definitely help you look toned come summer. But you’re going to need to do more if you’re really attempting a total-body approach to weightlifting. “Most of these muscles are in the front of the body, so limiting your weight lifting to these areas can cause imbalances,” notes Ethan Burger, PT, DPT, sports clinical specialist from the American Board of Physical Therapy Specialties. “Too much strength and tightness in the front, especially chest and shoulders, with weakness in the back and scapular muscles can cause forward slumped posture.” He recommends working the muscles in the shoulder and upper back regions. Try pulling activities, like rowing and dumbbell rows, shoulder press, reverse flys, and serratus pushups. 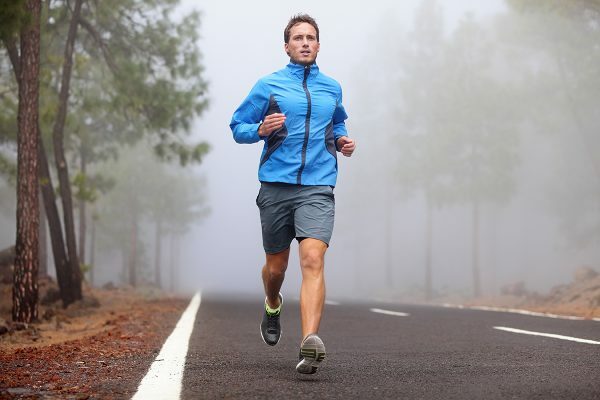 Men typically store less fat in their lower body than women do. So, they tend to focus less on this region when working out. But they shouldn’t. “A large portion of your strength is generated from your legs, including your glutes and core, and travels up through your arms and out of your hand in overhead athletics,” Burger explains. Before using the gross mover muscle groups, such as deltoids, glutes, and quads, Burger recommends including a warm-up for the little guys—the stabilizers. “For shoulders, do some scapular Ys, Ts, and, Is lying flat on your stomach on a bench with a focus of shoulder blade squeeze, as well as some internal and external rotator work—maybe two sets of 20 or 25 with light weight,” he says. “Then, you can move on to some of the more advanced overhead work.” For legs, he suggests starting with planks, then resisted lateral movement with a band or weights or leg lifts. Nearly all fitness professionals agree that no activity or lift should cause you pain. “It’s certainly fine if you feel a general muscle burn after a certain amount of reps, but a sharp pinch of pain is no good,” Burger says. “Stop that activity, and move the arm or leg around to see if there are other motions besides the one during the lift cause you pain,” he says. He also suggests trying out some other lower-level exercises or core work if a particular arm or leg is bothering you. Bottom line: Swallow your ego, drop the weight, and do it correctly. “In the long run you’ll achieve a lot more strength and won’t look like an idiot doing so,” he adds. If you’re working out consistently, eating well, and still not seeing results, these fitness mistakes men make may be to blame. Carefully review your routine and make sure you’re not making any of these—and correct them if you are. Is It Time to Buy Your Own Gym Equipment? 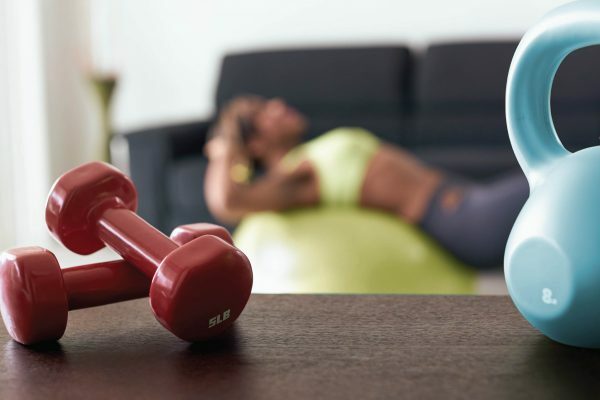 How to tell if setting up a home gym is right for you. Learn the proper way to introduce weight training into your exercise routine.